STUART, GEORGE OKILL, Church of England clergyman; b. 29 June 1776 at Fort Hunter (near Amsterdam, N.Y.), eldest of the eight children of the Reverend John Stuart* and Jane Okill; d. 5 Oct. 1862 at Kingston, Canada West. 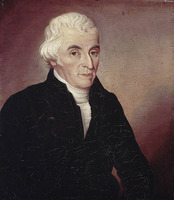 George Okill Stuart’s family came to Canada as loyalists in 1781 and settled in Montreal. His education probably began in his father’s school. John Stuart moved to Kingston as a missionary in 1785 and established another school, where George’s education continued for a few years. George entered Union College in Schenectady, N.Y., in 1789 or 1790, then attended King’s College at Windsor, N.S. 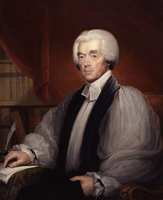 Bishop Charles Inglis*, founder of the college in 1789, regarded Stuart as a diligent student. For financial reasons Stuart’s stay at King’s College was brief, and he left in 1794 to become an usher in a Quebec City grammar school. 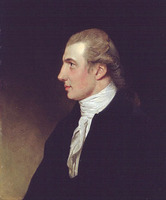 In 1795 he returned to Kingston where he opened a school in August of that year. His desire for further education had been sharpened and in 1798 he went to Harvard College, which granted him an ab in 1801. 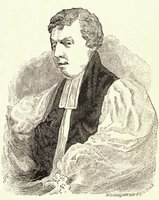 Stuart actually left Harvard in 1800 to be ordained deacon by the bishop of Quebec, Jacob Mountain*, on 7 June, and he was ordained priest on 22 Aug. 1801. His first appointment was to York (Toronto) in 1801 as a missionary of the Society for the Propagation of the Gospel. He also represented his father as chaplain to the Legislative Council before being appointed to that office in his own right. In 1807 he began holding services in a new frame church at York which was finally completed in 1809. Already acquainted with the problem of establishing schools with little government assistance, Stuart had opened a school at York; when it became the Home District Grammar School in 1807 he was its first master and received a small salary from the government. 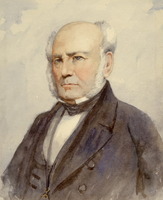 Stuart was an exponent of Joseph Lancaster’s school system, in which monitors – older scholars – were employed in the instruction of younger pupils. In this system the number of pupils was limited only by the ability and desire of the applicants, and the method of instruction resulted in inexpensive schooling. In 1812 Stuart left York, to succeed his father as incumbent at Kingston. 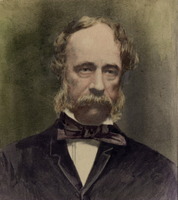 He was himself succeeded as incumbent at York and master of the grammar school by John Strachan, who had hoped at first to take over at Kingston instead. 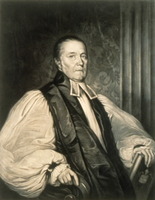 When Stuart was appointed to Kingston he also became bishop’s official in Upper Canada, and thus could act on the bishop’s behalf and, when requested, as his legal representative. In 1821 he became archdeacon of York; when the archdeaconry was divided in 1827 he was named archdeacon of Kingston and Strachan was made archdeacon of York. 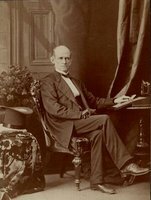 Stuart continued as archdeacon of Kingston after the diocese of Toronto was created in 1839. King’s College, Windsor, conferred on him an honorary dcl in 1827. Stuart’s archdeaconry extended from Newcastle in the west to the eastern borders of the province, and his incumbency at Kingston included for some time the chaplaincy to the Mohawk Indians at Tyendinaga. He also assisted in setting up parishes in eastern Upper Canada, such as Brockville, Augusta, and Prescott, as well as in his home centre. At Kingston he oversaw the building of the second St George’s Church which was consecrated by Bishop Charles James Stewart* in 1828. Stuart encouraged and helped train a number of candidates for holy orders. He looked mainly for men born in Canada at a time when many more clergymen were sorely needed for new parishes. He remained a missionary of the SPG until 1857 and was active in the Church Society of the diocese of Toronto and in synod affairs. He was also one of the original members of the council of Trinity College in 1851. In his private life Stuart was a quiet man, but could be roused to determined action. 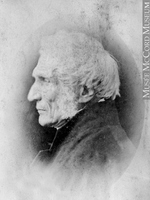 To John Strachan, his bishop after 1839, he was a person who had to be “treated with honor and delicacy.” In 1845 Strachan was urging him to leave more of his parochial duties to his assistant, William Macaulay Herchmer, and to consider “the propriety of doing as the Archdeacons do in [England] and visit from time to time one or more of the Districts which constitute your Archdeaconry.” When the diocese of Ontario was created in 1862 Stuart was appointed its first dean by Bishop John Travers Lewis*. Stuart died in October of the same year at age 86. In 1803 he had married Lucy Brooks, only daughter of John Brooks of Bedford, Mass., later governor of Massachusetts, and they had two boys and two girls. 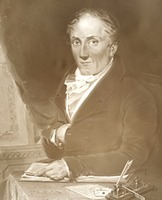 Only the eldest son, also George Okill Stuart*, lived to maturity; he became mayor of Quebec City and judge in the Vice-Admiralty Court there. Lucy died in 1813 and Stuart remarried in 1816 Ann Ellice Robison (or Robinson) of Portland, Maine, who died in 1856. There were no children by this marriage. Anglican Church of Can., Diocese of Ontario, Synod Archives (Kingston, Ont. ), George Okill Stuart letters, 1789–1862. MTCL, G. O. Stuart, Account-book recording names of pupils and fees received at the Home District Grammar School at York, 1807–11. PAO, Strachan (John), papers. “Rev. G. O’Kill Stuart’s register at St. John’s,” OH, I (1899), 18. Town of York, 1793–1815 (Firth). A. J. Anderson, The Anglican churches of Kingston (Kingston, Ont., 1963). A. N. Bethune, Memoir of the Right Reverend John Strachan, D.D., LL.D., first bishop of Toronto (Toronto and London, 1870). J. K. McMorine, “Early history of the Anglican Church in Kingston,” OH, VIII (1907), 90–102. A. H. Young, “The Rev’d George Okill Stuart, M.A., LL.D. (second rector of York and Kingston),” OH, XXIV (1927), 512–34. A. J. Anderson, “STUART, GEORGE OKILL (1776-1862),” in Dictionary of Canadian Biography, vol. 9, University of Toronto/Université Laval, 2003–, accessed April 22, 2019, http://www.biographi.ca/en/bio/stuart_george_okill_1776_1862_9E.html.